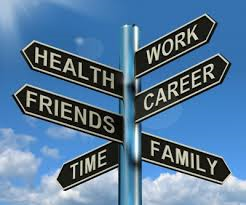 Feeling conflicted by the push-pull of work and family life? New research suggests that regular exercise can help balance out those feelings. Researchers examined the responses of 476 working adults who were surveyed about their exercise behavior and their confidence in handling work-family conflicts. Those who exercised regularly seemed to experience an increased feeling of competence that carried over into work and home roles, the study authors said. “If, for example, you go for a two-mile jog or walk 10 flights of steps at work and feel good about yourself for doing that, it will translate and carry over into other areas of life,” said study author Russell Clayton, an assistant professor of management at Saint Leo University in Florida. “We found that [participants] who exercised felt good about themselves, that they felt that they could accomplish tough tasks, and that carried over into work and family life,” Clayton added. Volumes of research have shown that exercise lowers mental and physical stress levels, but few studies have focused on whether this stress reduction helps empower individuals to better manage their work-life balance. Clayton said the study originated as a “pet project” after he realized his own adherence to exercise gave him perspective on integrating work and life. Also involved in the study were researchers from Saint Louis University, University of Houston-Victoria and Illinois State University. Clayton acknowledged that the research method the study authors used—having respondents answer questions and then tallying the answers through a mathematical technique—did not offer hard numbers for the results. Just over half (55%) of the study participants were women. In addition, the study noted, participants worked an average of 40 hours weekly and their average age was 41. About 29% had at least one child under age 18 living at home. While the study found a link between physical activity and reports of greater empowerment at home and at work, it did not prove a cause-and-effect relationship. 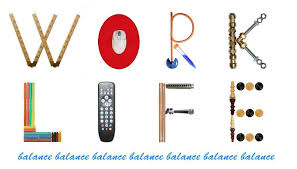 “But the associations between exercise and work-life balance are there, and they’re very strong,” Clayton said. For those who don’t exercise regularly, the idea of adding that regimen to a busy schedule to improve stress levels may seem counterintuitive, Clayton noted. But he advocates the idea of “stolen moments” for exercise that add up, such as climbing the stairs for five minutes or doing jumping jacks in 30-second spurts. “We hope our research can be a grain of sand in the beach of evidence we have to push corporations…to encourage employees to exercise,” he added.